Since the launch of Full Sail University's Dan Patrick School of Sportscasting, Dan Patrick has been actively involved with his namesake school. He's visited campus to share his knowledge, run sportscasting workshops, and host guests like Sage Steele and Gus Ramsey. During those visits, he's given Full Sail students important lessons on the realities of a career in sportscasting. Here are five of the most valuable tips from those visits. "Understand you're going into the most competitive job field in America," said Dan during a campus visit with Sage Steele, co-host of SportsCenter on ESPN. Both Dan and Sage cited the sacrifices they've made to push past the competition – from Dan working nights for 15 years to Sage missing her daughter's first steps. "If this is what you want to do, then don't be denied," he added, stressing personal sacrifices and occasional setbacks are inevitable, but also character-building. "You gotta be aggressive," he said in one recent visit to Full Sail. "You gotta attack this job field – trust me, because it'll eat you up." Dan routinely reminds students of one of the foundational philosophies of the school's curriculum: Build sportscasting experience inside and outside of the classroom. Future sportscasters need functional knowledge of the job well before applying for a position. Dan aptly says, "We have to know a lot about a little and a little about a lot." It's about more than just knowing sports terminology and how to call plays. Sportscasters need a keen understanding of how the business and the league works just as much as they need color commentary skills. "We have the ability to adapt," said Dan during a discussion about how technology continually reshapes the field of sportscasting. Whether it's innovative cameras and digital replays or podcasts, live streams, and virtual reality, all these innovations present opportunities as well as challenges. For instance, in the crowded world of sports podcasting, it's easy to get lost in the noise. Dan's advice: Find your niche. "You have to have direction. What makes you different?" 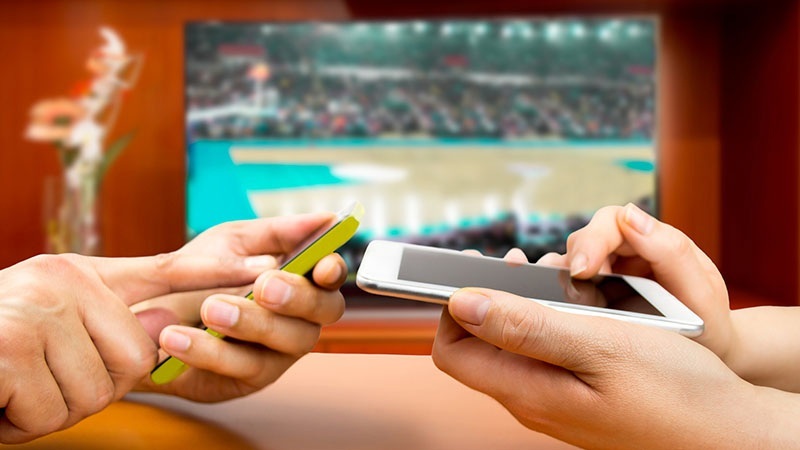 Sportscasters have to effectively translate player stats and moments of gameplay into an immersive story that engages audiences and keeps them hooked. Dan expressed this to students during a live workshop, saying, "Always remember you're telling a story. Attention to detail is so important." "You're telling stories with a rhythm," said Dan during one student session. He noted how proper voice modulation keeps an audience invested and makes key moments that much bigger. That includes deciding on important elements of the story and using your voice to build up to those moments. "You've got to make it seem like this is really important to you, like it's almost taking your breath away."